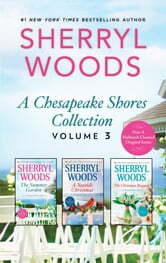 Come home to the South with #1 New York Times *bestselling author Sherryl Woods in this collection of unforgettable tales from her beloved Chesapeake Shores series. Falling for Moira O’Malley was the unexpected highlight of Luke O’Brien’s Dublin holiday. So when she pays a surprise visit to Chesapeake Shores, Luke is thrilled…at first. A fling with this wild Irish rose is one thing, but forever? 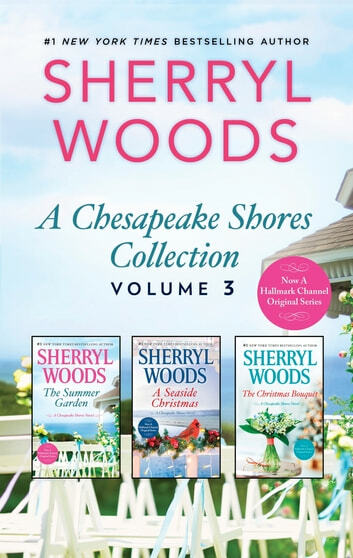 After years in Nashville as an established songwriter, Jenny Collins is drawn back to Chesapeake Shores to collaborate on a Christmas production…and to make peace with the past. But as if that’s not challenging enough, Caleb Green, the singer who broke her heart, has followed her to town, determined to win her back. For the very driven medical student Caitlyn Winters, catching the bridal bouquet at a Christmas wedding has set off a chain reaction that she’s sure is more curse than blessing. Not only has she fallen in love with family medicine resident Noah McIlroy, but an unexpected pregnancy threatens her well-laid plans for the future.